Looking for the best hotels in Amsterdam? Here are the top best Amsterdam hotels that are boasting great location, premium service and luxury rooms with the most positive customer reviews. Review: The Toren, one of the best hotels in Amsterdam, is located amidst the traditional canal houses in Keizergracht, only 5 minutes walk away from the famous Dam Square. The hotel is designed to be mystical, theatrical and chic while providing comfort and warmth to the guests. There are 37 rooms in the hotel, each is unique and different. The rooms are comfortable but stylish with charming furniture. The single rooms include showers and are practical while the double room offers a lot of space. The Deluxe room offers a whirlpool bath along with a view of the garden or canal. The Garden Cottage, Suites and Special Deluxe guest rooms are quite luxurious and feature steam shower, double Jacuzzis, luxurious bed and many excellent features. Review: The Ambassade Hotel is located in Nine Streets, an upscale and famous shopping area just 5 minutes away from the Jordaan neighborhood. The hotel has 58 beautifully designed rooms and suites that provide guests all the amenities and comfort they need during their stay. Each room in the hotel is unique and has a lot of character. The rooms offer amenities like soaker tubs, satellite television, access to wireless internet and comfortable beds. The bathrooms are large and modern. The Ambassade Hotel is home to a coffee shop and has a business center where business guests can conduct meetings and conferences. 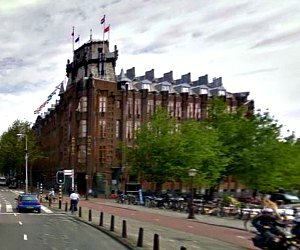 Review: De L'Europe is a 5 star hotel located along the beautiful Amstel River in central Amsterdam. 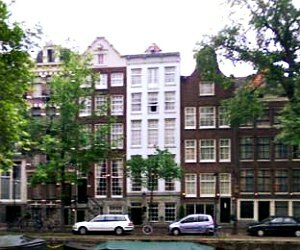 It is 10 minutes away from the Dam Square and close to the shopping area of Kalverstraat. The suites and rooms in the hotel offer a lot of modern amenities and luxuries like marble bathrooms, iPod docking stations, surround sound and floor heating. 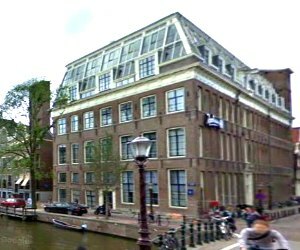 The Penthouse Suite has 6 bedrooms and is one of the most luxurious options available in Amsterdam. 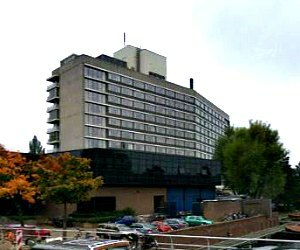 The hotel has a waterside terrace, a fitness area, valet parking and a spa. On site are 2 prestigious Michelin star restaurants and a bar that serves gourmet snacks and cocktails. 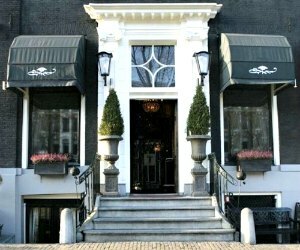 Review: The Banks Mansion is a boutique hotel located in central Amsterdam in Herengracht. This beautifully designed hotel offers authentic décor, comfort and modern amenities. The 4 star hotel has beautifully designed guest rooms featuring stained glass windows, comfortable beds and traditional Dutch bathrooms with rain shower. Other amenities include audio equipment, private bar, WiFi and flat screen television. Some of the rooms offer a beautiful view of the canal. All guests are provided complimentary breakfast, complimentary private bar, free movies, free internet access. The hotel also offers a huge variety of appetizers and beverages in its lounge for guests to enjoy. Review: Sofitel Legend The Grand has attracted many elite guests since it first opened including movie stars, royal brides and the elite. The hotel is beautifully designed with French grandeur and elegance and features a large number of suites and rooms. The guest rooms feature many amenities like a lounge area, king sized bed, WiFi, air conditioning, a desk, television, DVD and audio system, a large bathroom featuring rain shower and a safe deposit box. All hotel guests get free access to the spa that features heated swimming pools, Jacuzzi, Turkish steam bath, a fitness area and a sauna. There are 17 conference rooms and banquets in the hotel. The Bridges restaurant in the hotel uses organic Dutch produce to create French dishes. 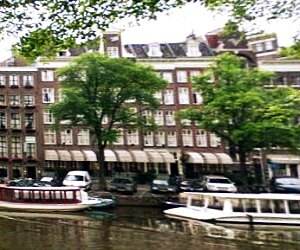 Review: Estherea is a boutique hotel located on the Singel, one of the oldest and most famous canals in Amsterdam. The 17th century building has many original features while offering many modern amenities to its guests. The décor of the hotel is quite sumptuous and grand with crystal chandeliers and high end carpets. Hotel Estherea features 93 beautifully designed rooms as well as 2 large suites. Each room is non-smoking and offers elevator access. Some of the features of the rooms include air conditioning, mini fridge, safe, telephone, television and luxurious bathrooms. DVD and iPads are available on request. The hotel also has three meeting rooms that can accommodate 24 people. Review: Hotel Okura is a high-rise, modern hotel with Japanese and Dutch influences located close to the RAI Convention Center. The guest rooms in the hotel are luxurious and quite spacious with modern amenities like safe, hairdryer, luxurious toiletries, mini bar, on-demand video, air conditioning, LCD TV, Nespresso coffee machine, spacious shower cabin with rain shower, WiFi internet and a very comfortable bed. There are 5 restaurants and 2 bars within the hotel, offering a wide range of options. Cooking workshops by world famous chefs are held in the basement kitchen for guests. One of the restaurants at Hotel Okura has 2 Michelin Stars and serves unique international cuisine. 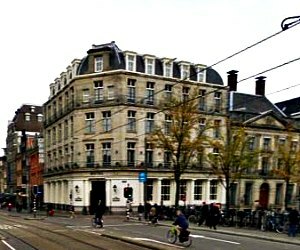 Review: Grand Hotel Amrath is a deluxe five star hotel located in the center of the city, minutes away from the Dam Square and Central Station. It features 165 tastefully designed guest rooms. The hotel offers its guests luxurious amenities and all the comforts they would need during the stay. On-site are several meeting rooms, a wellness center, a bar and a beautifully designed restaurant. All the rooms in the hotel feature several excellent amenities like a Nespresso coffee machine, complimentary minibar, luxurious toiletries, hairdryer, spacious bathrooms, electric curtains, flat screen TV, air conditioning, a seating area, working desk and complimentary wireless internet. 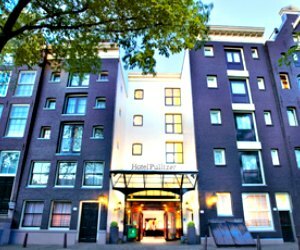 Review: Hotel Pulitzer is located in the city center, close to all the top attractions of Amsterdam. 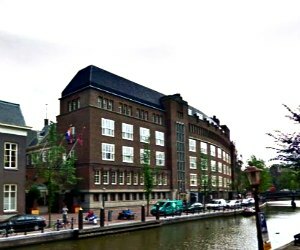 Guests can tour the city's canals in the hotel's own boat. A concierge walking tour is also offered to guests. There are two restaurants within the hotel, a wine salon and a grill restaurant. It also features a bar and one of the city's most beautiful gardens. All the guest rooms in the hotel are designed with subtle lighting, rich décor and classy furnishings. They offer views of the garden or the canals. The rooms offer many good features and amenities like concierge services, complimentary newspapers, safe, a work desk, free access to the hotel's gym, comfortable beds and large bathrooms. 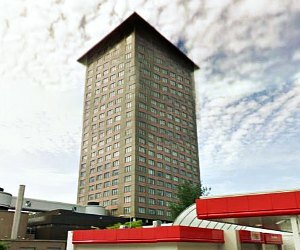 Review: The Hilton Amsterdam Hotel is located by the beautiful canals, close to the city center as well as the airport. It features a business center, 21 meeting rooms and an executive lounge for business clients. Guests also have three restaurants as well as bars to choose from. The public areas of the hotel offer free WiFi access. The hotel's health club has a fitness center, whirlpool, steam room and a sauna. All the guest rooms in the hotel are tastefully decorated and very quiet. They offer beautiful views of the garden or the canal. Amenities offered in guest rooms include spacious bathrooms, LCD TV, wireless internet, air conditioning, spacious desk and on-demand movies. 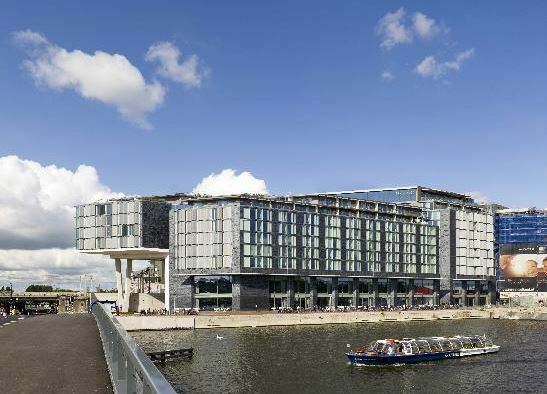 Review: DoubleTree by Hilton Hotel is located in Amsterdam's historic city center, next to the Central Station. all the suites and the rooms in the hotel feature modern facilities and amenities like air conditioning, iMac system that works as a computer as well as TV, WiFi, beautiful views, stylish bathrooms, a desk and ergonomic chair and a mini refrigerator. There are three dining options available in the hotel including the SkyLounge located on the 11th floor and offering spectacular views. Executive guests get free access to the Executive Lounge as well as complimentary breakfast. There is a modern business center and several event and meeting spaces available. 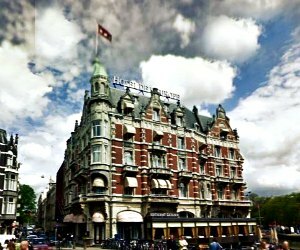 Review: The Raddison Blu Hotel is located in Amsterdam's city center, close to the central station. Guests can unwind and relax at the hotel's solarium, sauna or the gym or choose to dine at the classic restaurant on site that serves classic dishes made with locally sourced ingredients. The Pastorie Bar in the hotel serves a good variety of craft beer. It is a pet friendly hotel and a smoke-free property. The guest rooms in the hotel are designed to be clean, crisp and comfortable with many modern conveniences like wireless internet, mini bar, 24 hour room service and express laundry facilities. 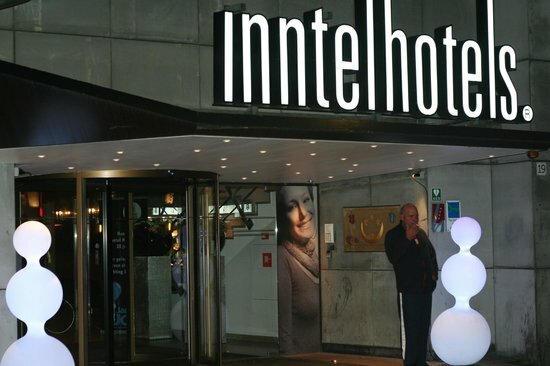 Review: The Inntel Hotel is located in the historical city center in Amsterdam, close to many shopping and dining amenities. The hotel offers quiet, beautifully decorated and modern guest rooms with excellent service and amenities. Guests enjoy free WiFi, air conditioning and buffet breakfast. Lunch is served at the bar lounge of the hotel. The rooms in the hotel are designed beautifully and offer a lot of choices. The basic rooms include amenities like flat screen TV, hairdryer, spacious bathroom, mini bar, safe, comfortable armchairs, coffee and tea making facilities and free access to wireless internet. All rooms are smoke-free.